Operation Pitch Invasion is pleased to announce that its Fields For All initiative, undertaken in partnership with the Stand Together program of the Portland Timbers and Portland Thorns, has resulted in a new futsal complex at Tom McCall Upper Elementary School in Forest Grove, Oregon. 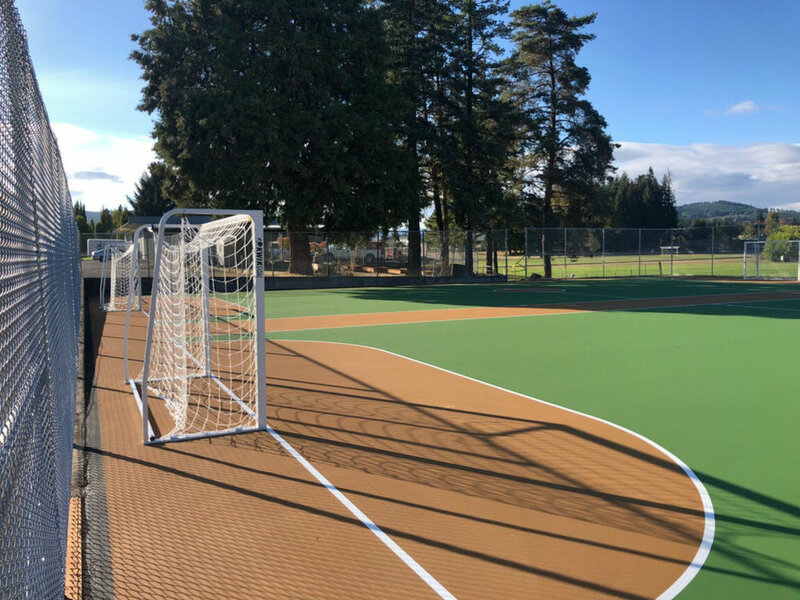 The new complex, consisting of two new futsal courts inside a fenced location on school grounds, was created by grinding up and remaking a pre-existing blacktop. Fields for All is the result of an ongoing annual partnership between OPI and the Timbers and Thorns. Financial support is provided by adidas, KeyBank, and Providence Health & Services. The cooperation of the Forest Grove School District was essential to this year's project.